Doobert Tip of the week: Volunteer trips – hitch a ride! Home arrow_forwardEmail Digest blog • Tip of the Weekarrow_forwardDoobert Tip of the week: Volunteer trips – hitch a ride! 4 myths about volunteering at your local animal shelter. We’re not sure where #3 came from. Did you know that you can get rescue animals a ride on trips volunteers are already taking? (i.e. vacations, taking kids to college). You already know that Doobert allows you to create transport requests that automatically email and text to volunteers. But did you know that Doobert also allows volunteers to post upcoming trips they are already taking just in case you have an animal that is going that way? 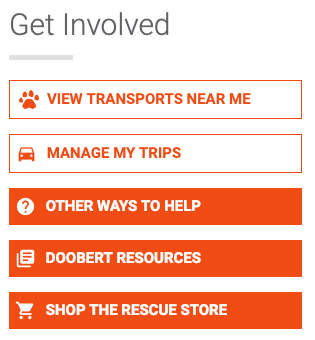 Every Doobert volunteer has the ability to enter in a trip that they are taking so that the Doobert system can help organizations find transports for animals. My trips could be driving or even flying (if they’re a pilot with their own plane). How do Volunteers enter them? From there, they can add new trips and indicate how many animals they can take. Where do they show up & how can I book a ride for an animal? So you might be wondering how you as an organization can see these trips and reach out to book a ride for an animal. From your organization dashboard, simply click on the Reserve a spot button on the right-hand side. 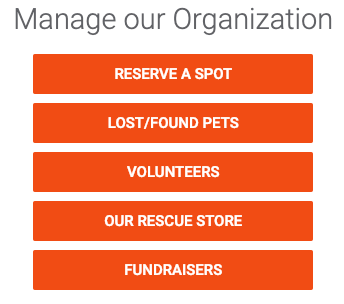 This function works like an Expedia search for animal rescue transport. You simply put in where you’re trying to get an animal from and to, and the date range you want to search. The Doobert system will automatically return a list of all available transports and help you contact them to see if your animal can get a ride!